Undergoing back surgery or even a minimally-invasive procedure on your spine can be frightening and unsettling. Going through physical therapy to restore full functions after treatment for a back problem takes commitment and a positive attitude, something much easier to sustain when you’re in Charleston, South Carolina. So many people with back problems seek out the Charleston back physicians at the Southeastern Spine Institute for their expertise and reputation — and because of the location. The beautiful coastal community of Mount Pleasant, just outside Charleston, offers a pleasant environment (like the name implies), in which you can recover. From the 5-star hotels in downtown Charleston to the historic bed and breakfast inns in Mt. Pleasant’s Old Village, the options for your stay abound. As Charleston back physicians, we want your stay to be relaxed and pain-free, so when you leave, you take with you only the best memories. Listed below is just a short sampling of some of the options you have for accommodations. Check out the Charleston Convention Visitor’s Bureau website for a more complete listing. The Old Village Post House is an inn and neighborhood tavern located in Mount Pleasant’s historic Old Village, just minutes from the Institute’s campus. At the Inn, you’ll feel as comfortable as if you were staying with your best friend. If you’d prefer to be near the center of Charleston, try the 1837 Bed & Breakfast, featured regularly on the Travel and History channels. There you’ll find open piazzas on which to stroll, rocking chairs to rest following your procedure and sufficient Southern hospitality to help you recover. Downtown Charleston is less than 15 minutes from the SSI campus, and you can’t do much better when it comes to stately elegance than at the French Quarter Inn. As you begin your recovery walks, you can check out Charleston’s City Market and all the historic and architectural treasures that make the city unique. Nothing is that far away. The menu here changes daily, depending on what’s fresh and available, though the bacon cornbread is a staple that‘s not to be missed. Chef Sean Brock is a James Beard award winner. Order the shrimp and grits at this landmark Charleston restaurant. Visit the Hominy Grill if you feel the need for some real home-style cooking and comfort food. While you may not feel up to long walking tours per order of your Charleston back physicians, your companions may want to check out the sites. Still, you can enjoy activities that fit your mobility, such as a pleasant boat ride or a sightseeing tour bus. The weather is usually mild in Charleston so you can count on the boats running year-long. 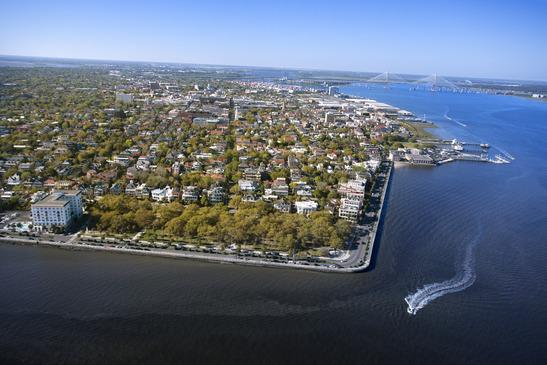 Spend an afternoon cruising to the island fort to enjoy the breathtaking views of Charleston and her Harbor. Leave from Patriots Point in Mt. Pleasant to board the ship that will take you to the place where the first shot of the Civil War took place. Whether you worship or not, you may enjoy visiting some of the many historic churches in Charleston, most of which are still standing from the 1800s when they were built. See First Baptist, Grace Episcopal, the Cathedral of St. John the Baptist and the Circular Congregation Church, which offered the first Sunday school class in South Carolina. While the Charleston back physicians at SSI will insist that you have to rest after undergoing a procedure, there’s no reason you can’t enjoy an evening or two out while you’re in town as long as you take it easy. You’ll find an array of live theatre at a number of venues, including South Carolina’s largest professional theatre company at the Historic Dock Street Theatre. Above the market, the Pavilion Hotel offers panoramic harbor views. You won’t be sitting in your room meditating…unless that’s what you want to be doing.